Despite the series of adverts powered by TAN to convince Nigerians, Fashola, who spoke as a keynote speaker at the opening ceremony of Women In Business (Wimbiz) Conference held at the Eko Hotels in Victoria Island, said he remained convinced that the country under the leadership of PDP was not transforming the country as portrayed by the group. According to him, “Where the North East is under siege and the economy has continued to nose-dive, the Transformation Ambassadors have continued to distort the true information that all is well." 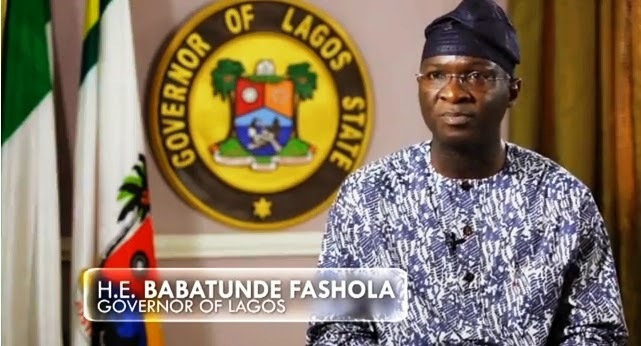 Fashola said: "All it takes to cripple our economy by those country from where we buy oil is to say they won’t sell to us any longer. “We have seen a good example where the country was denied access from buying arms. This is the situation we are as regards importation of oil. “The government is yet to give us power as promised; they are yet to give us fuel; we are yet to see the standard highways they promised. There are so many Nigerians living without electricity." He said there are so many indices to show that the country is yet to be transformed, pointing out that all the promises made by the Jonathan’s government in 2011 to Nigerians are yet to be fulfilled. He noted that the Jonathan’s administration in 2011 promised to generate 16,000 megawatts by 2013, including harnessing coal opportunity, wind and solar to generate 13,000 megawatt electricity, noting that this is yet to be seen to become a reality. According to him, when the price of oil stood at $100 per barrel for almost a decade, the PDP led government has not been able to transform the country noting that these days when the price of oil has dropped to $80 per barrel, it’s obvious the government at the centre cannot do better with lean purse.